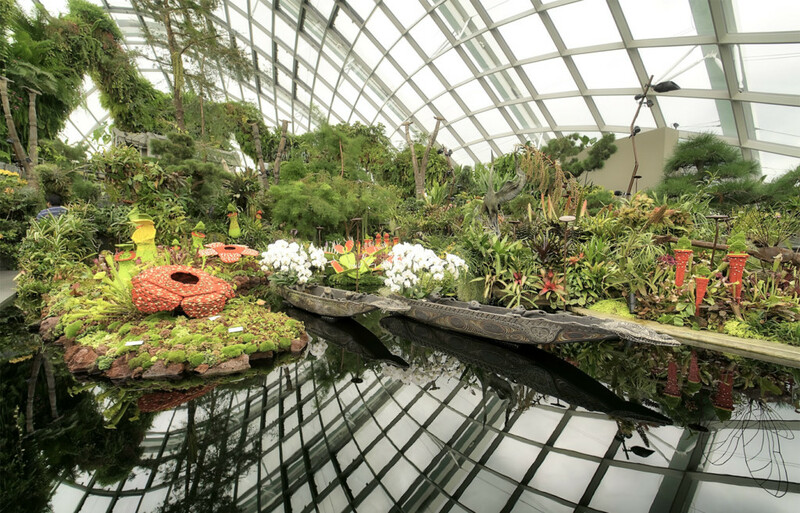 The flowers-wonder world in the Singapore Flower Dome. They have built flower-stations with vegetations from all time-zones and continents of the world. If you study each sign with the information from the different flowers and plants, you can stay there the whole day. I started a photo tour where I shot from the entrance to the exit all variations, angles, and colors.